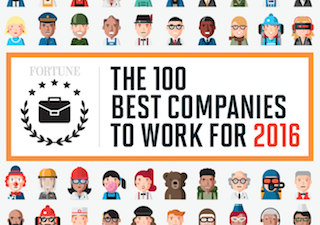 Fortune has unveiled its annual 100 Best Companies to Work For, and once again, Google topped the list. This is the fifth straight year Google took the top spot and seventh time it made Fortune’s list, more than any other company. As for media companies, well, it was a poor showing. In fact, just two video game companies made the list under the Media category — Riot Games (#39) and Activision Blizzard (#77).